Last week we discussed how Christ asks us to commit to a new life, a new family, and a new faith. We considered men who left their professions to follow Jesus. They considered their old lives, earthly family, and the things they sacrifice for the Lord a worthy offering. We can either be intimidated by this or approach it in a biblical fashion. Biblically speaking, once a disciple began to follow Jesus, their whole life changed. These men would become apostles. Their lives were dedicated to Christ and the furtherance of the Kingdom of God on Earth. Every disciple of Christ has a huge shift in life priorities. Once a disciple, their chief priority is to spread the gospel. Disciples of Christ no longer consider our life on Earth, the things of the Earth, or acceptance among those on the Earth to be paramount. Our attitude changes such that our friendships and associations focus upon glorifying God. We also found a new family. All the disciples had to leave their families to minister for the Lord. Those who balked at complete commitment to the Lord over the family of the world were challenged by Jesus requirements. Many were saved from wretchedness, debauchery, and wickedness. Some were saved from demon possession. All were saved from false religious beliefs, empty of eternal life. All their beliefs depended upon works. Jesus told them that faith in Him was the only way to Heaven, and they needed to leave all other beliefs to follow Him. This does not mean we automatically walk away from our families, though it can come to that. It does mean that we have to commit to Christ over their desires. 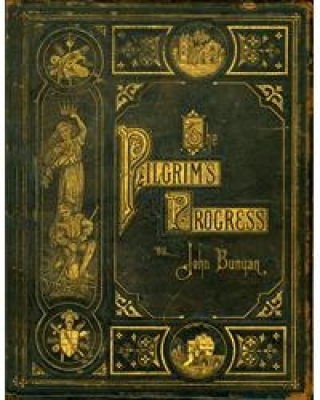 Like “Christian” in John Bunyan’s Pilgrim’s Progress, disciples of Christ seek to follow the Lord regardless of their families’ reaction or desire to restrain them. Jesus also called us to a new faith. For some, such as the rich young ruler, their misplaced faith is in wealth. Others have a misplaced faith in self-discipline. Yet others have a misplaced faith in their knowledge of scripture. Others misplace their faith in their own testimony or years of life in service. While all these things can be good, they are only valuable if dedicated to the Lord. That does not mean we sell everything and move into a monastery. It does mean that, as with Job, we should know who really owns all we have and dedicate our lives to serving Him, others, and especially His children selflessly with all those resources. Today we learn about another scriptural test from the Lord. As with all the tests, we will consider this a testimony that should try our hearts and help us to gain new heights in Christ. Today we open to the book of Ruth. Though I would greatly enjoy reading the whole book with you, we will have to focus on a few passages. We will consider some key moments in the book of Ruth where she made decisions to remain loyal to the Lord by following Naomi. Many make choices of loyalty, but the motivation of loyalty is wrong if not directed toward God first. “We’re always being measured: God is measuring us, and people are measuring us. When it comes to measuring Christian service and servants, other people can make mistakes and we can make mistakes. Most Christian workers are prone to think either more highly of themselves than they should (Rom 12:3) or less highly. If we think to highly of ourselves, we’ll get too proud and start pushing our way into what we think is a more important place. If we think less highly, we’ll get discouraged and want to quit. Both attitudes are wrong. This quote is equally applicable to commitment as it is loyalty. We would do well to remember God is always studying us. Our salvation places us in His kingdom. However, our work is continually measured against that of His Son. God the Father said He would never leave nor forsake us in Joshua 1:5. Jesus told us He would be with us always in Matthew 28:19-20. The Holy Spirit will seal us with a promise of inheritance until the redemption of His children, God’s possession, to the praise of His glory (Eph 1:13-14). Loyalty involves a number of things. First, one must make a willing decision. Next, one takes action. Loyalty makes demands on a person requiring further action. Loyalty submits to the demands of the relationship. Because there is submission, we should realize that loyalty makes demands on us which we might otherwise never consider. These demands require sacrifice on our part that can sometimes be very deep. Still, loyalty does not waiver, it does not give up or give in. Loyalty stays steadfast in the worst of times. Loyalty to God does come with great rewards. God rewards His faithful. All things begin with this one starting point. We can sometimes identify the exact moment, often the exact words, or even thoughts. Regardless of the development of the beginning of loyalty, it all boils down to making a willing decision. Look at Ruth 1:16 with me as we find this decision point for Ruth. We are not told why Ruth made this decision. In fact, at first we may wonder why Ruth makes this decision. There seems little reason to follow a bitter woman back to an unfamiliar land. Some have speculated Naomi’s testimony of God brought Ruth to this decision. We have to consider that carefully. Reading through the book, Naomi turned faithful to God later. At this point she appears very hurt and bitter toward God concerning her life. In verses 11 and 12 she has given up hope for herself and encouraged her daughters to abandon her for a more promising future. She goes further to goad them in verse 13. Naomi displays a common problem with man – she is focused upon her world, not God’s Kingdom. In fact, she sees her home as a bane “it grieveth me much for your sakes that the hand of the Lord is gone out against me.” Naomi does not want to spread grief any further and she believes that pain springs from her and the Lord. For reasons unknown to us, Ruth makes a decision to stay with Naomi. She commits her life, “where thou diest, will I die;” she commits her body, “and there will I be buried;” she commits her spirit, “the Lord do so to me.” She commits these to Naomi and to the Lord, “thy people shall be my people, and thy God my God.” All we can ascertain is that Naomi made this decision and God blessed her for it. Psalm 78:7-8 tells of the decision that the people of Israel had to make. They had to set their hope in God, not forgetting His works, while keeping His commandments. They had to set the things of their forefathers (stubbornness, rebelliousness and wickedness in heart) behind them and move forward in faith alone. They had to stop all the indecisive, weak, murmuring. When they came out of Egypt, the nation of Israel was stubborn, fearful, faithless, rebellious and wicked. We should be mindful that these attitudes were not directed at the wicked or worldly; they were directed at the Lord and His servants. The Israelites needed to change, but refused to. They suffered for 40 years in the wilderness until a new generation replaced them, because they refused to be loyal to God. All these sins must disappear, such that they can remain steadfast with God and rest their whole hope in Him. We are tested regularly in our decision to be loyal. Ruth made the decision to be loyal to Naomi and Yahweh in the face of discouragement. She chose to follow Naomi’s God. These choices for loyalty have no common sense attached to them. Ruth was young, without children and would easily gain a Moabite husband. Naomi was encouraging her to do so, and in fact denigrating Ruth’s decision to stay. You can almost hear Naomi’s sarcasm when you read, “Would ye tarry for them till they were grown? Would ye stay for them from having husbands?” Regardless, Ruth made a decision to be loyal and took immediate action. Here is where decision takes action, as Ruth immediately begins to care for Naomi in her need. She asks Naomi for permission to go to the fields and glean the remainder for their sustenance. Ruth determines to serve and does not wait, but takes initiative. She takes action humbly but decidedly, and so should we. Loyalty results in intuitive thinking and action. God blesses her first by giving her corn, then by placing her in the fields of her kinsman redeemer, without her direct knowledge. By taking initiative in serving one of God’s children, Ruth is given access to redemption. God rewards Ruth’s loyal actions. Ruth determined to stay loyal to Naomi, despite discouragement. She took action as a loyal servant. In many ways we see Ruth’s submissiveness throughout this passage. This next passage clearly talks about her loyal and submissive servant’s heart. In Ruth 2:10 and 23 we find a humble, submissive servant that is simply pleased to perform her duties for Naomi. Now she is further humbled to the owner of the field, that he would give orders for her protection. Ruth asks no special favor; she only submits and humbly obeys by walking through doors of opportunity as they are provided. We are not told that Ruth is exceptionally beautiful. We do glean from the testimony of the book of Ruth that Boaz is an honorable man. Ruth does as she is instructed in verse 23, as she stays close to the maidens of Boaz and gleans with them instead of separately. Ruth stretches out her loyalty further as she submits to Naomi’s instructions in Chapter 3 and goes back to honor Boaz by lying at his feet. Further humble submission and obedience garners even more favor from God. Jesus displays this humble, submissive loyalty throughout His ministry to man on Earth. We find proof of this in John 3:16 and Philippians 2. Our tests of loyal submission and humility are equally as demanding. When faced with decisions to remain loyal, those decisions cannot be based upon our surroundings or our perception. When we do determine to remain loyal, our actions should support that loyalty and we should continue serving humbly, and in loyalty. Ruth would not entertain the thought of going back to her people after she saw Naomi’s welcome. She did not begrudge working in the fields, gleaning their daily requirement of corn. Further, she did not buck against Naomi when asked to prepare herself for Boaz. Ruth did not live thinking about home while trying to submit to Naomi. Loyalty is focused and it does not come without demands. To remain loyal to Christ, we must understand that our entire worldview will have to change. We talk about these things frequently. We should never make the mistake of simply applying this to our national challenges, which we rightly do. We should always apply these things personally. The applications of scripture should come to bear directly against our personal fears, thoughts and motivations. The former is a way we tend to project things away from us and keep them at a safe distance. This is as if to say we have Christianity all in a sock. The latter is the aspect of personal application that this passage very specifically points to. Loyalty demands personal commitment. In chapter 3:3-5 we find Ruth receiving direction from Naomi. In this case, it is not just how to get corn, but she is directing her to prepare herself intimately and present herself before Boaz as a prospective wife. Though this is no blind date, one must wonder what kinds of thoughts went through Ruth’s mind. We do not know whether the Moabites thought this activity wicked. For all we know, they may have (this would be arguing from silence in the scriptures). What we do know is that Ruth does exactly as Naomi demands and she is rewarded for her obedience. Ruth has promised complete loyalty and that even involves total submission to Naomi’s directions even on the most personal level. Ruth does not say anything about her ability as a woman to attract a man the way she thinks is right; she simply submits to and obeys her mother-in-law’s direction. We have seen where loyalty’s tests involve a willful decision, decisive action, humble submission and the response to demands. All of these activities can fly in the face of our own commonsense. We are called to sacrifice ourselves, to the uttermost. Ruth, apparently against her her own inclination, trusts Boaz and sacrifices her personal concerns about the appearances she fears may develop. Boaz promises her that he will keep her virtue intact. He will do nothing to bring that into question; but he asks her to stay the night there at his feet. She still snuck out in the morning (v14). We can only speculate, but we should be mindful that Ruth pledged loyalty to Naomi’s God (Ruth 1:16). Having spent 10 years with Naomi, her husband and their sons, she would know much of Israeli customs. A woman’s virtue was vital to her testimony. Boaz instructed her to keep quiet about their relationship. This is probably tied to Ruth’s concerns with testimony. We can only go on what is in the scriptures but it is clear there was apprehension concerning the appearance of Ruth with Boaz, and Ruth was the one sensitive about it. Boaz reassured her. Boaz may very well have realized what she was saying in her caution, when he asked her not to speak to anyone about the relationship. A woman could be stoned for promiscuity and she did not want to sully Naomi’s reputation, either. Regardless, Ruth’s loyal commitment sacrificed her personal concerns and fears. She threw away her commonsensical thoughts that might maintain her personal virtue and gave these things over to the Lord by trusting Boaz. She trusted him with something that was as precious as life itself in Israel. Sacrifice certainly brings us to a greater commitment. It is important for us to actually invest ourselves into those things we decide to be loyal to. We have to act in a fashion that leaves no suspicion about our loyalty. Our personal sacrifices should also display this dedication. Another aspect of loyalty is consistency. We cannot remain loyal to one while attempting to keep ties to another. Our loyalty will waiver if we do and we cannot afford to waver. The cracks of indecision and fear are the open doors for Satan’s minions. Boaz has obviously determined to remain loyal to Naomi and Ruth. This section of scripture shows Boaz taking action, displaying loyal steadfastness. It displays another aspect of loyalty as well, in his redemptive action. Boaz went to the gate, a place where all the elders enter and gather to make deep decisions. Boaz called upon Naomi’s nearest kinsman, Elimelech’s brother. He called a meeting before all those present, making them both directly accountable for whatever decisions develop. Before all these witnesses, Boaz commited himself, his wealth and his house to redeem Naomi and Ruth. He first resolved all things to God’s will. He gave Elimelech’s brother the opportunity to redeem Naomi and Ruth. This displays a steadfast loyalty to God’s sovereignty first. Then, without hesitation, Boaz took the opportunity to redeem Naomi and Ruth, when God made it clear that this is the direction he should take. Boaz remains steadfast to God’s sovereignty, in accountability and to his word. Loyalty is a willing decision, it takes action, it humbly submits to and accomplishes the demands of the object of loyalty. One commits to loyalty knowing the requirement for sacrifice therefore, loyalty must be steadfast. All of these decisions and actions do not go unnoticed by our Lord. He recognizes these things and rewards His loyal subjects. The loyalty of Ruth and Boaz is rewarded. Boaz married Ruth and God blessed her with a son. This would eventually be the line of David. God uses a Moabitess to fulfill His will and the prophecies of Isaiah and Jeremiah. Naomi was blessed with a grandson, where there were none for 10 years before (Ruth 1:4). God blessed her as his nurse or nanny. Boaz was blessed receiving a promise that his name be known throughout all Israel. God ensured this by enscripturating this book such that even today we read of Boaz’s godly character (4:14). We find great loyalty to God in Psalm 84:10-11. The Psalmist says it is greater to be before God in judgment than it is to dwell in tents of wickedness. God is his shield; He gives grace and glory. No good thing on Earth is held back from those who walk upright and remain loyal. Psalm 84:12 says, “O Lord of hosts, blessed is the man that trusteth in thee.” There are great rewards when we are loyal to God. This reward can also be found in Matthew 25:21 and 23, where God rewards His faithful servants with more authority, responsibility and wealth. A willing decision, decisive action, humble submission to demands, personal sacrifice, and steadfast loyalty are all rewarded. Loyalty is complex. The tests for loyalty will come on this wide variety of levels. It is often not simple but very much influenced by a decision. The initial decision to follow Christ is often immediately attacked by Satan through doubt. Decision leads to perfect loyalty, meaning one is wholly committed to the point of sacrificing everything. Satan again can attack and take things from an individual. Naomi suffered testing as she lost Elimelech and her sons. Joseph certainly suffered this testing as he lost his freedom on more than one occasion. This means we must move past social upbringing, past family ties, past anything that might stand in the way of committed loyalty. A loyal subject of the Kingdom of God becomes focused on the object of loyalty, which is Christ. One has to decide to remove any admixture of error or personal preference. Ruth did this when she did as Naomi asked by bathing and anointing herself, preparing herself and lying humbly at Boaz’s feet. We do not know why she might have been so well received, whether it was Ruth’s submitting to the Israelite customs, her beauty or simply her willingness to humble herself. What we do know is that loyalty was rewarded with the line of David being maintained and the realization of the promise of our Redeemer. [i] Warren W. Wiersbe, On Being a Servant of God, Baker Books: Grand Rapids, 1993), 59-60.